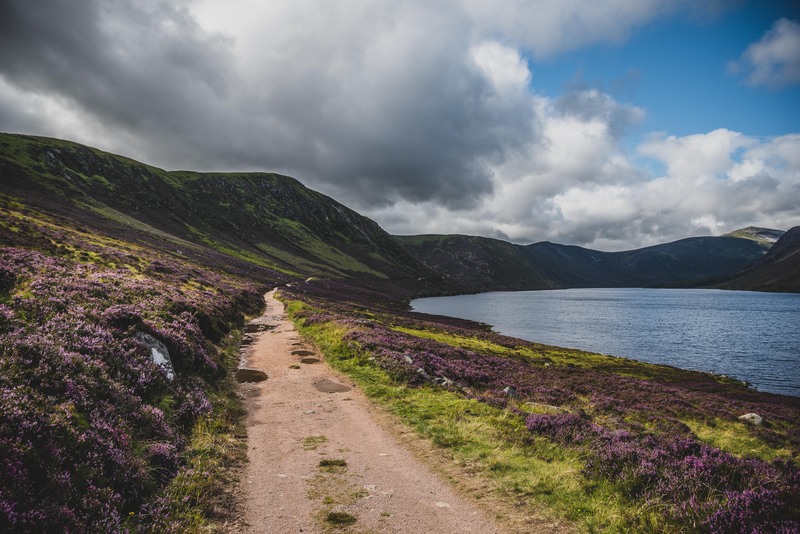 From Aberdeen, getting to Glen Muick is about a 1.5 hour journey, mainly because of the country roads, and then the 7 mile long single lane road which is basically a disaster waiting to happen when there’s a car coming the other way. 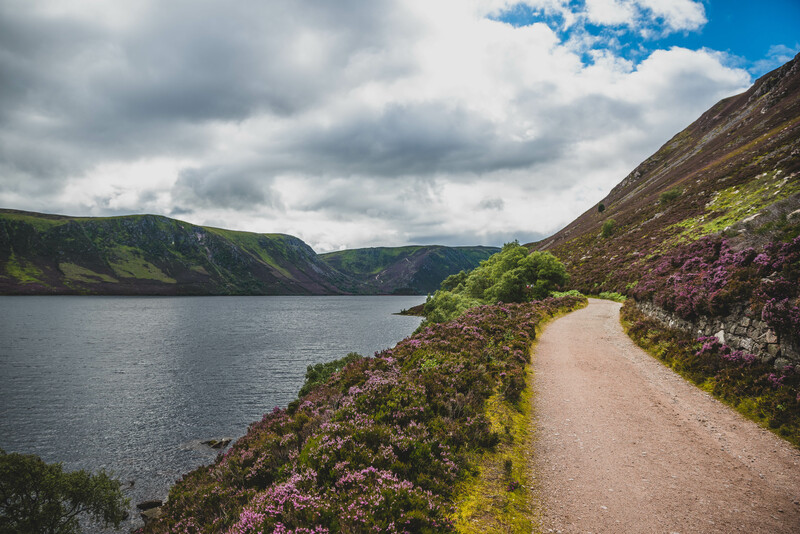 Sadly, you have to navigate this road to get to the Spittal of Glen Muick car park where you get access to Loch Muick, and the nearby Lochnagar. 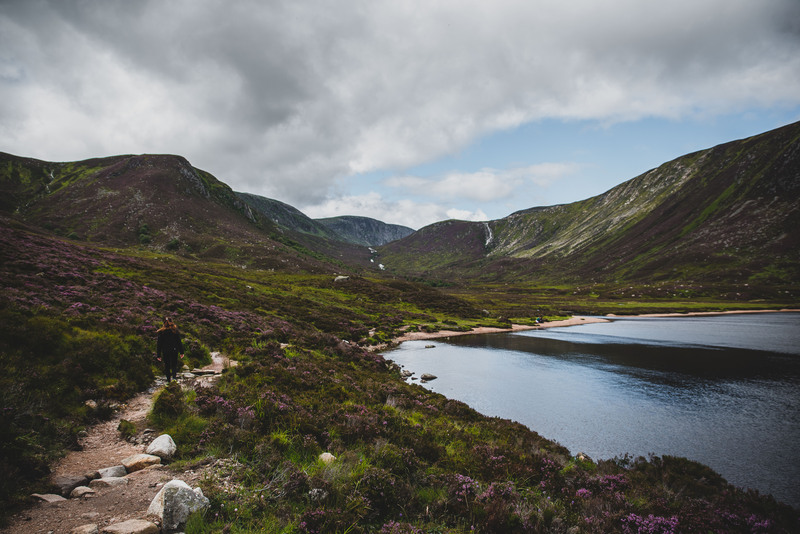 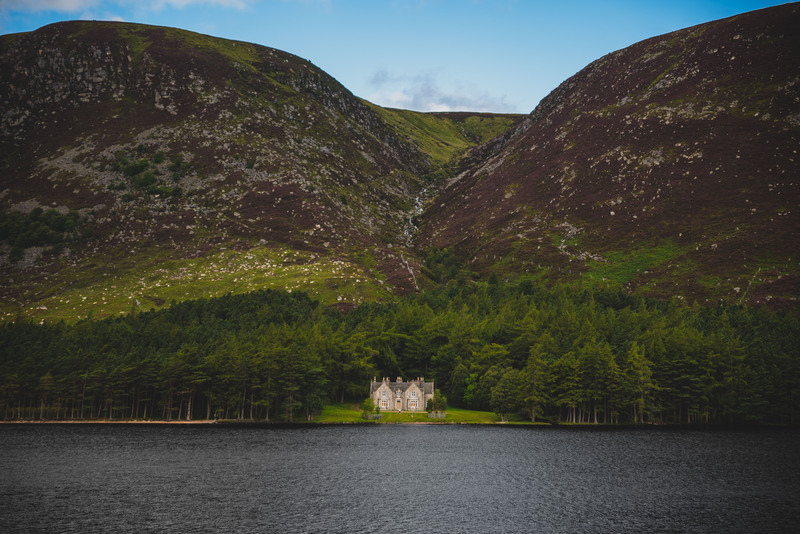 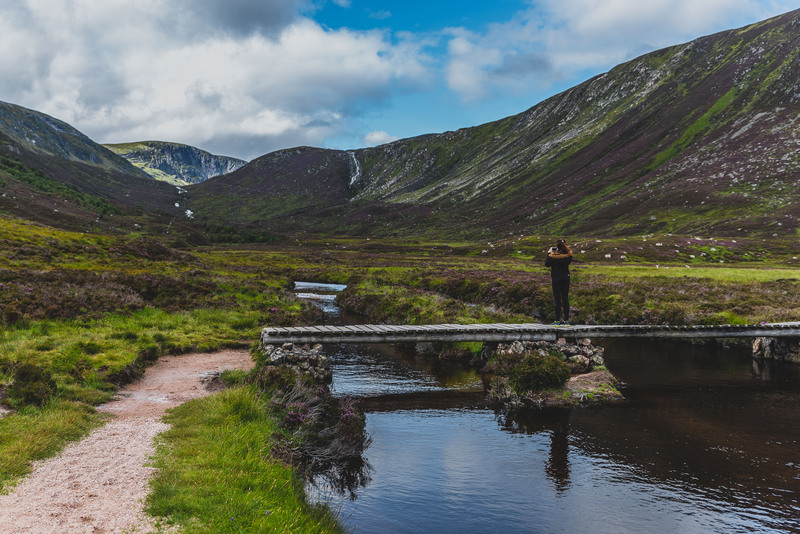 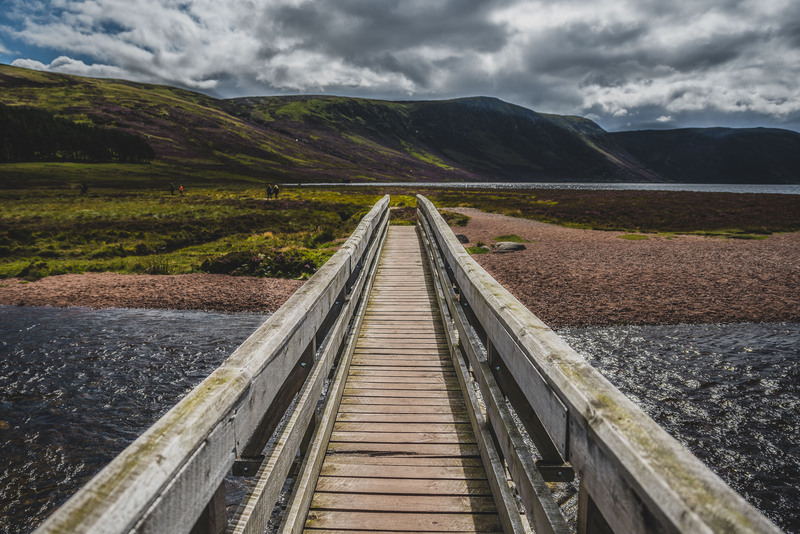 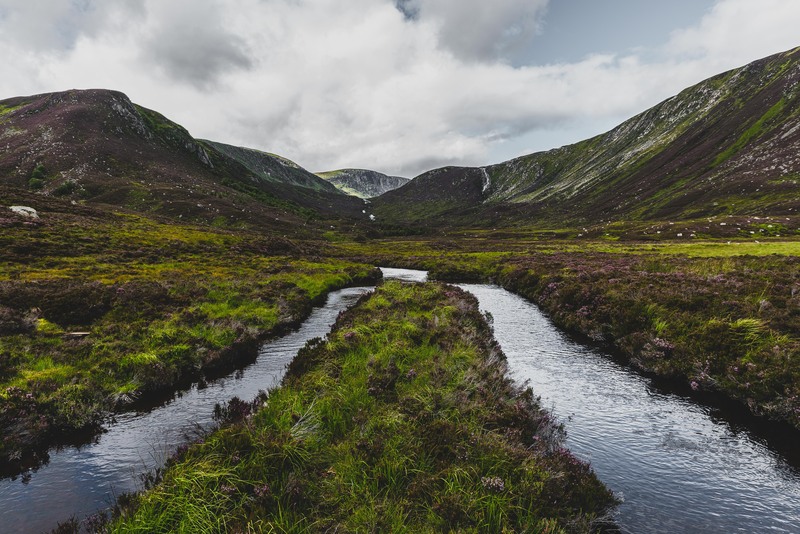 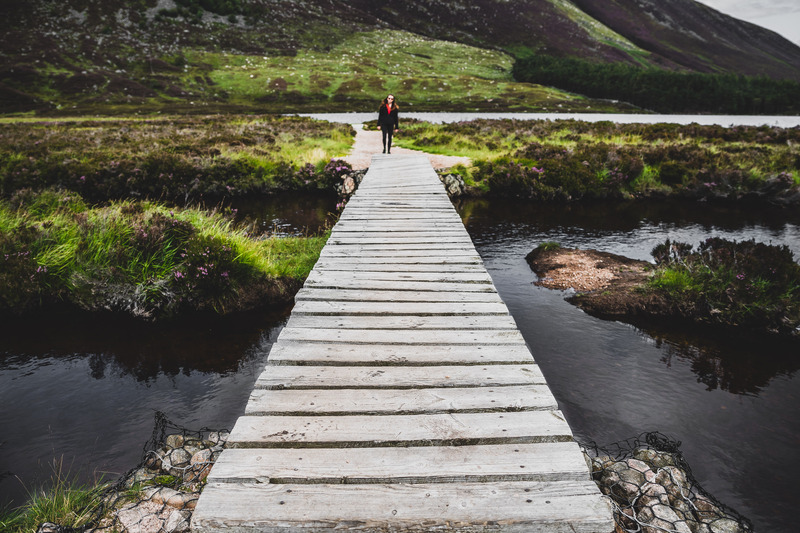 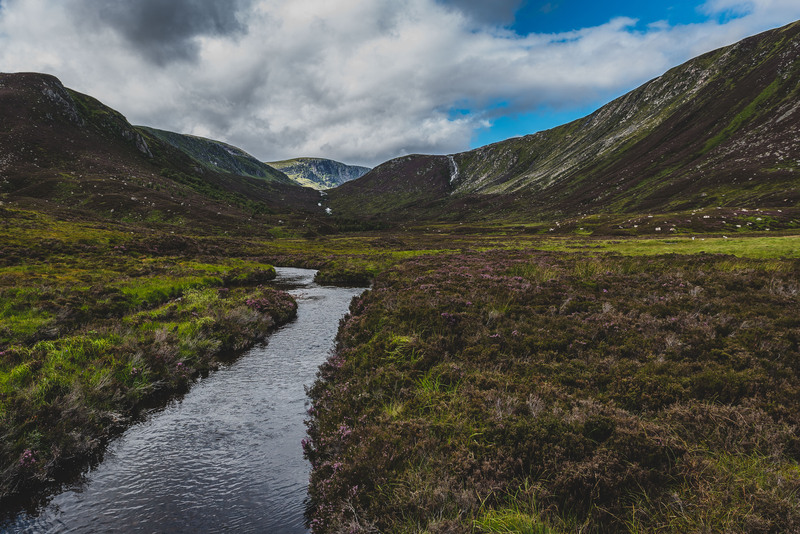 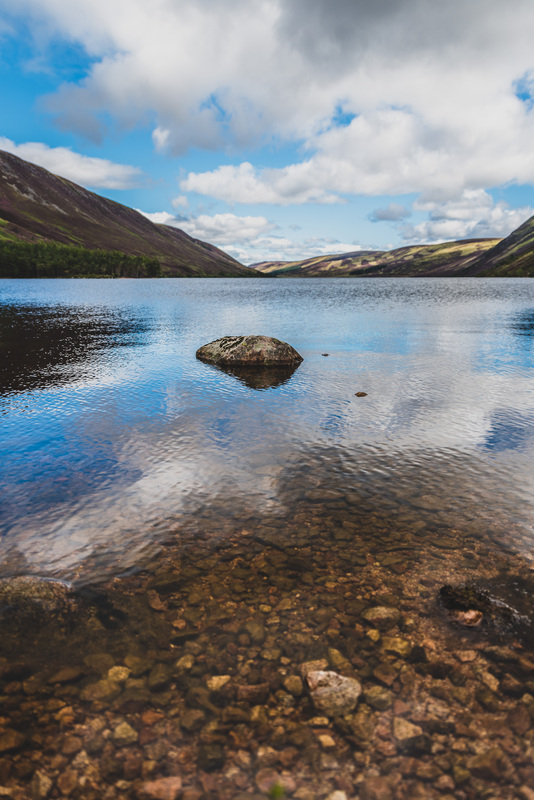 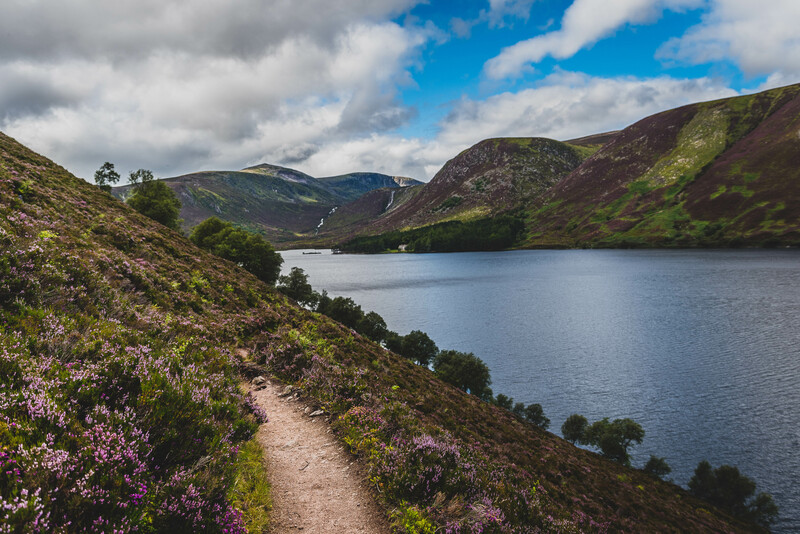 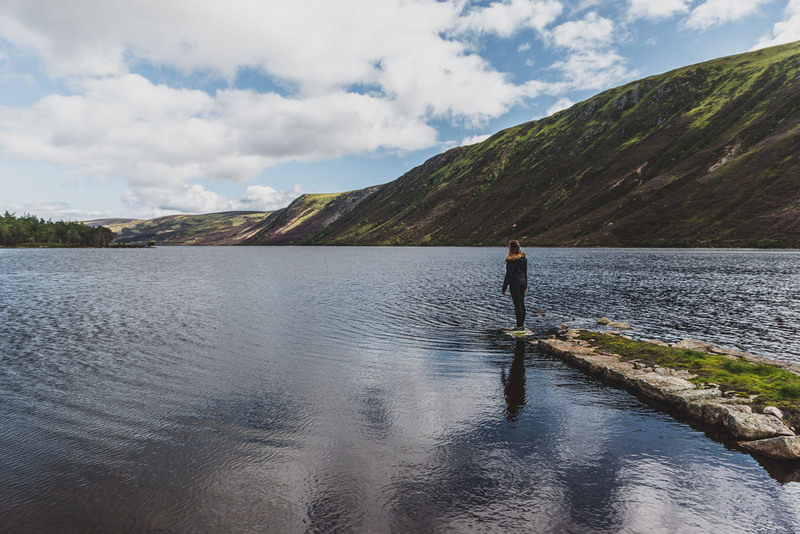 Our plan of action was to only take a walk around Loch Muick, which can take about 4 hours if you’re taking a leisurely stroll. 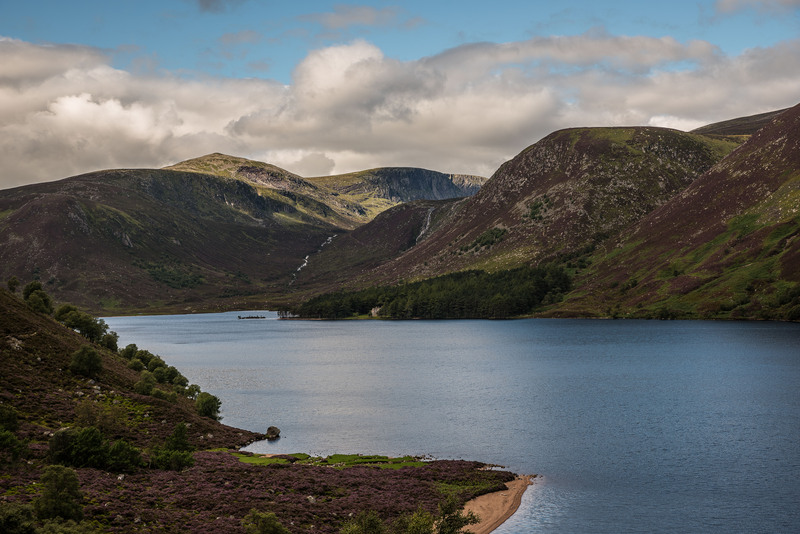 We’ll definitely be back to do Lochnagar, hopefully before winter lands! 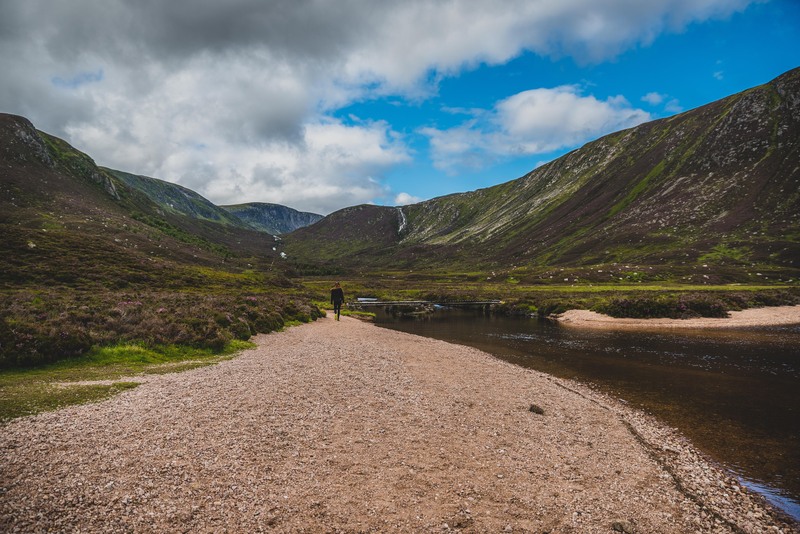 Heading down the path from the car park, take the left route to Loch Muick and then you’ll come to a split where I recommend going around the left side of the Loch if you want to tackle the harder walk first. 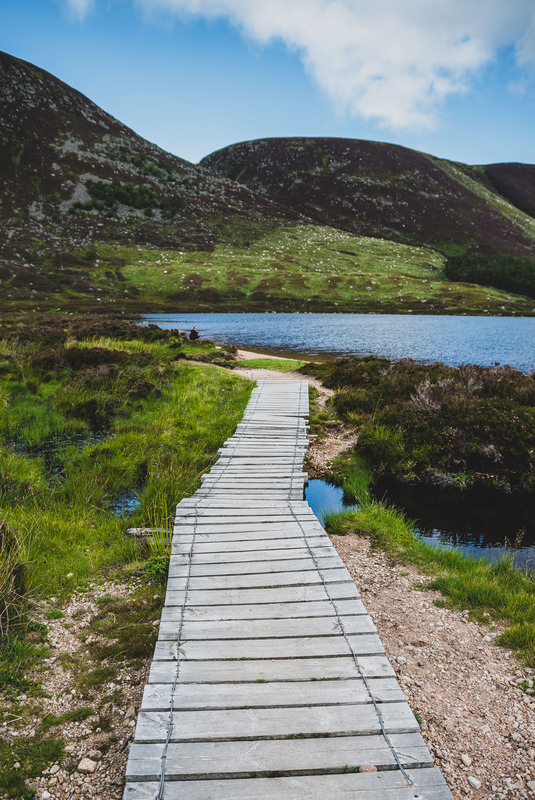 The right side has a much smoother and flat track where you can get a car down, so we figured it would make more sense to leave this as our route back. 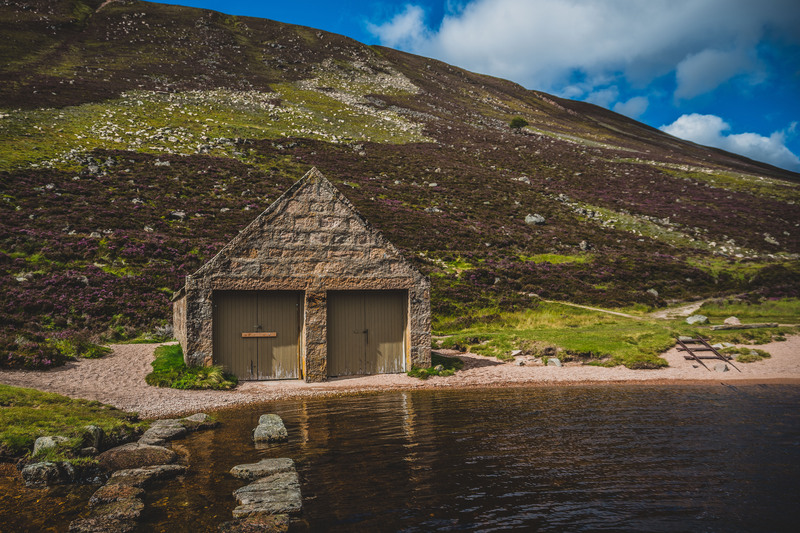 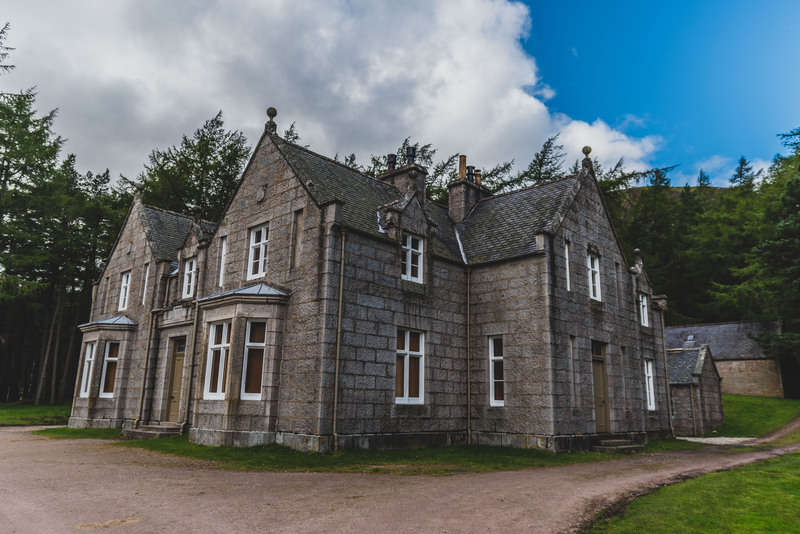 When you reach the half way point around the left hand side, there’s a nice little beach area where you can stop and take in the impressive views of the loch in front, and the waterfalls behind. 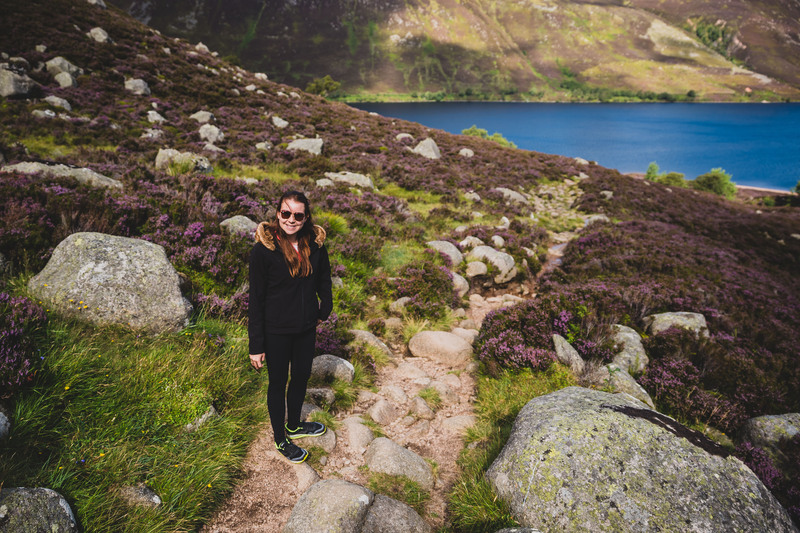 There’s a detour route which you can take to go up round the waterfalls but sadly we missed this trail and didn’t notice it until we were a bit of a distance away… I guess it just means we’ll have to come back to check it out! 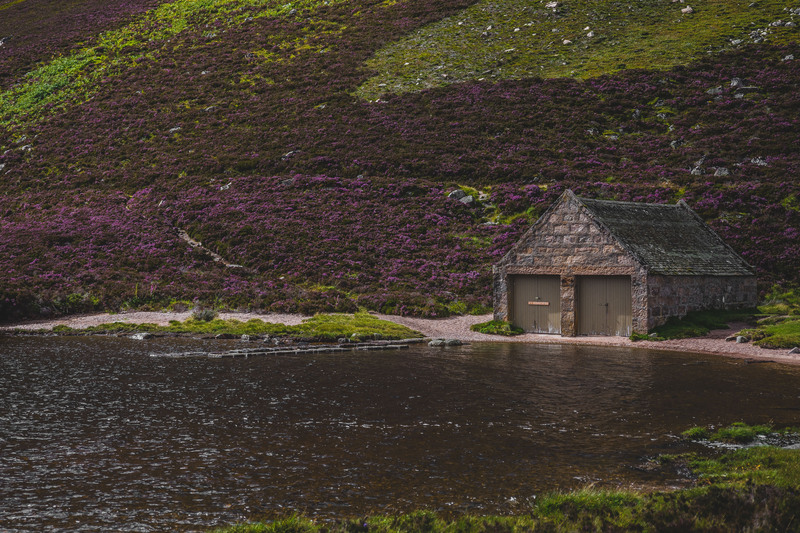 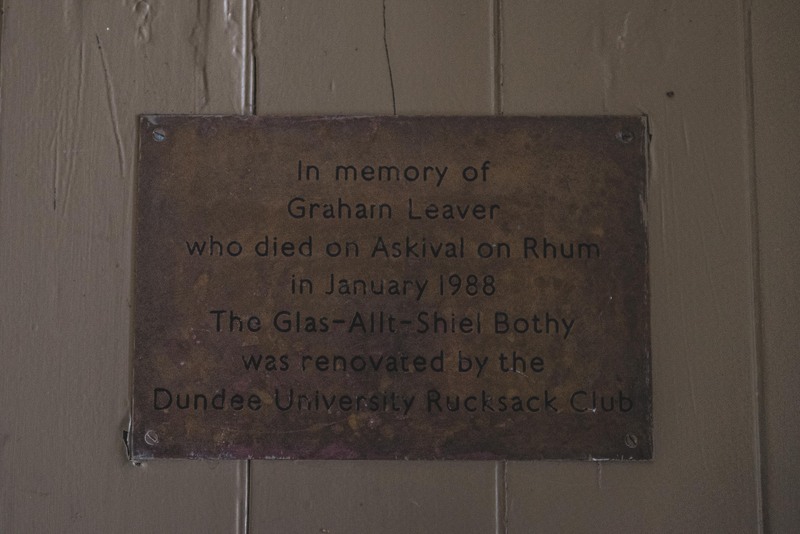 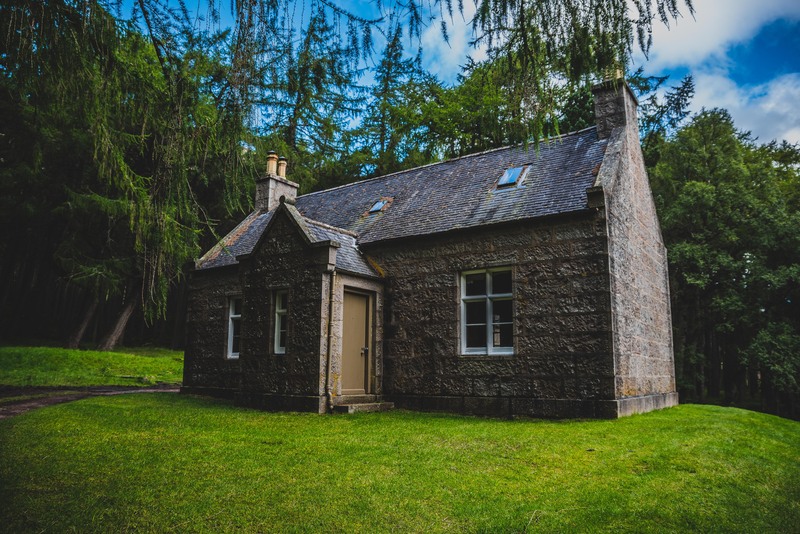 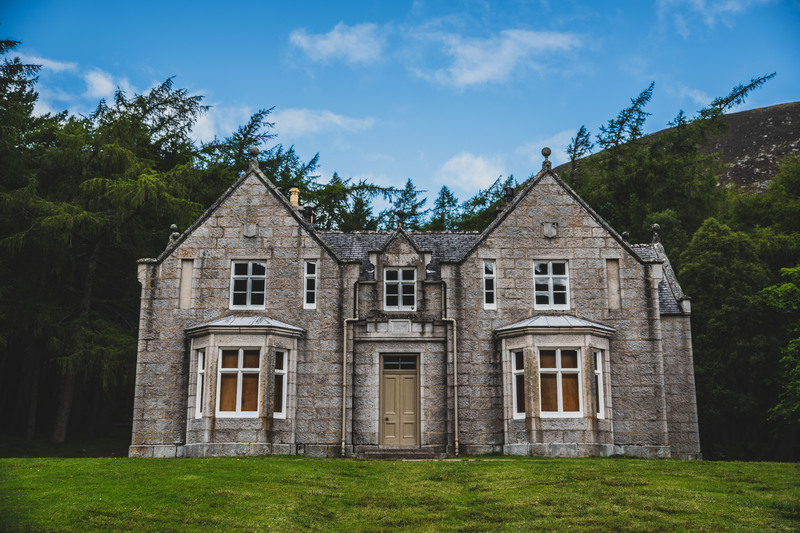 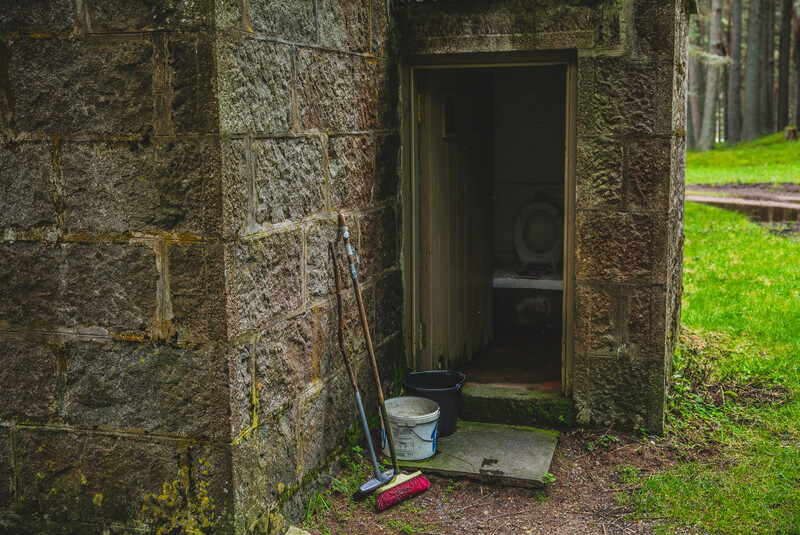 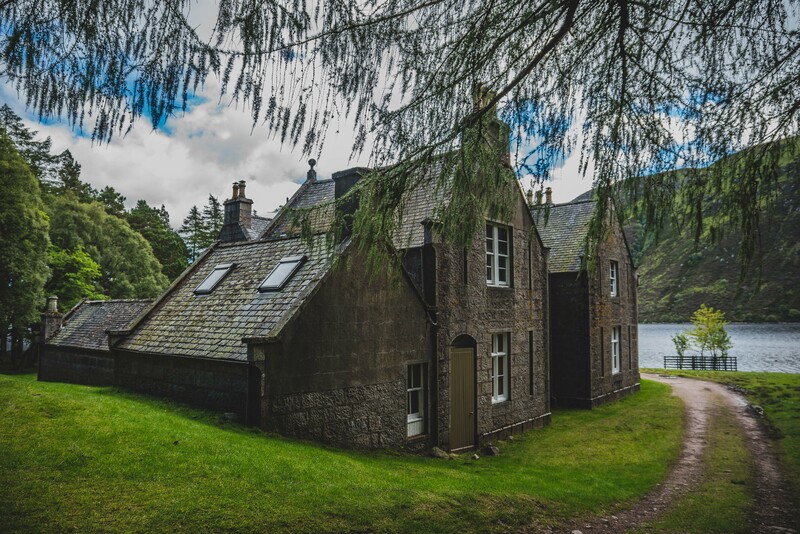 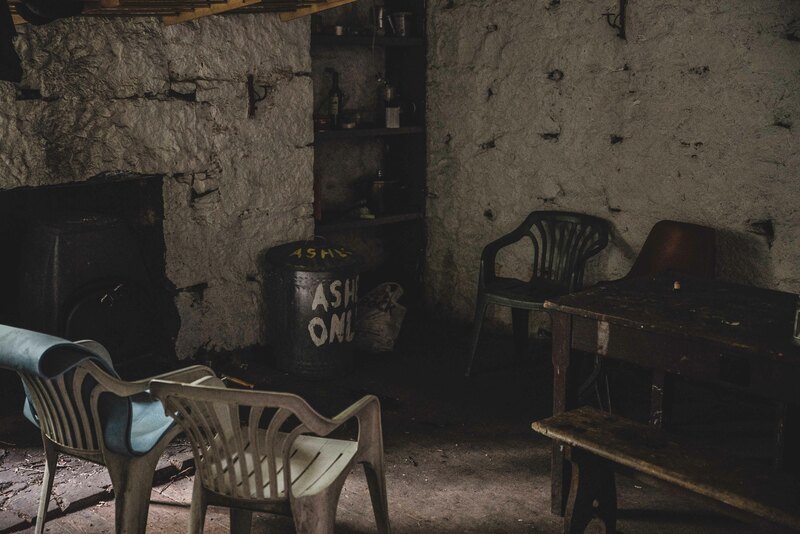 If you don’t know what a bothy is, it’s basically a basic shelter which is left unlocked and available for anyone to use free of charge. 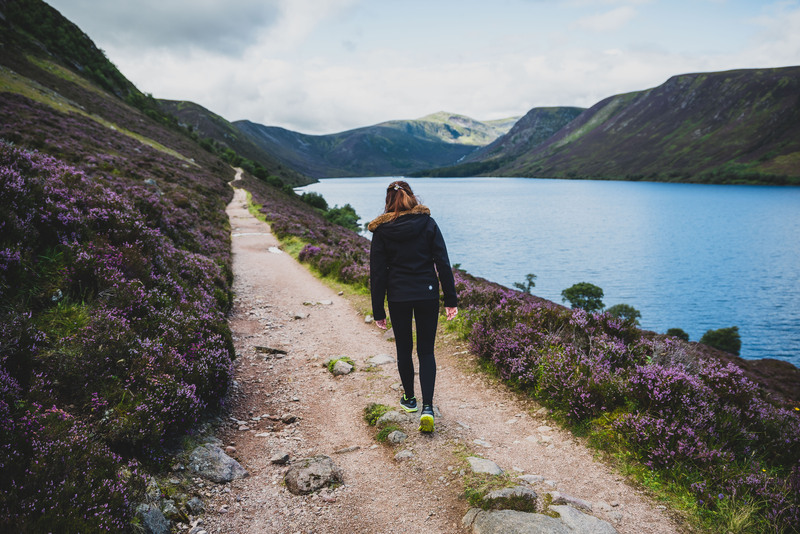 So you can image that these are pretty ideal for hikers who need to get some rest and stay the night. 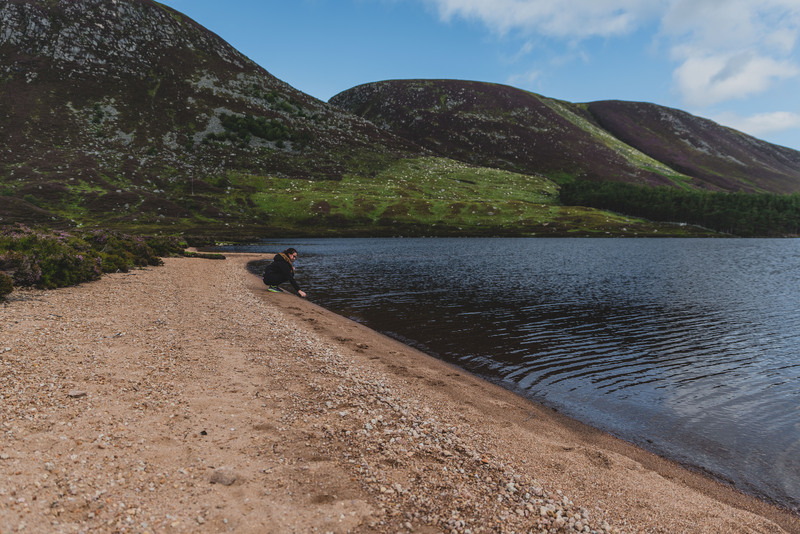 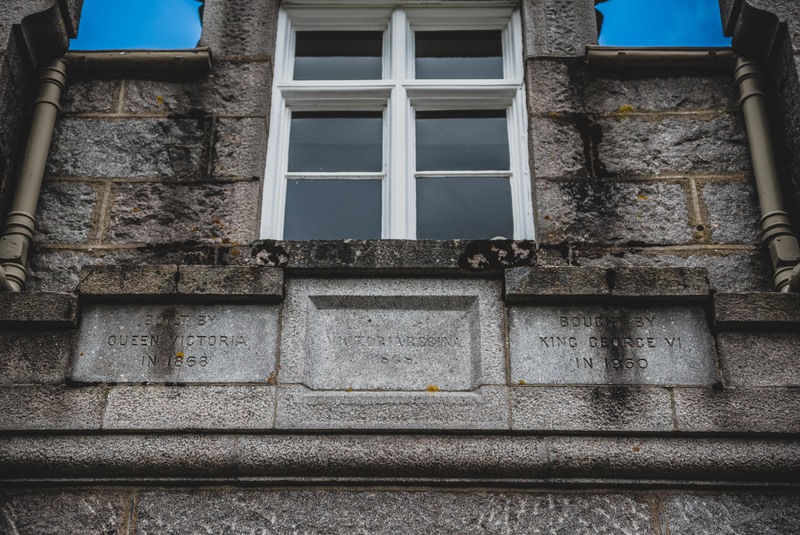 Previous Previous post: Sole Bloc – Scotland’s first sneaker festival.